Free Printable Thanksgiving Party Tag Pack, use this to celebrate your Thanksgiving dinner. Download and print the free Thanksgiving Party Tag printable, then cut into columns and use a 2-inch circle scallop or 2-inch circle craft punch to punch out each letter or image. 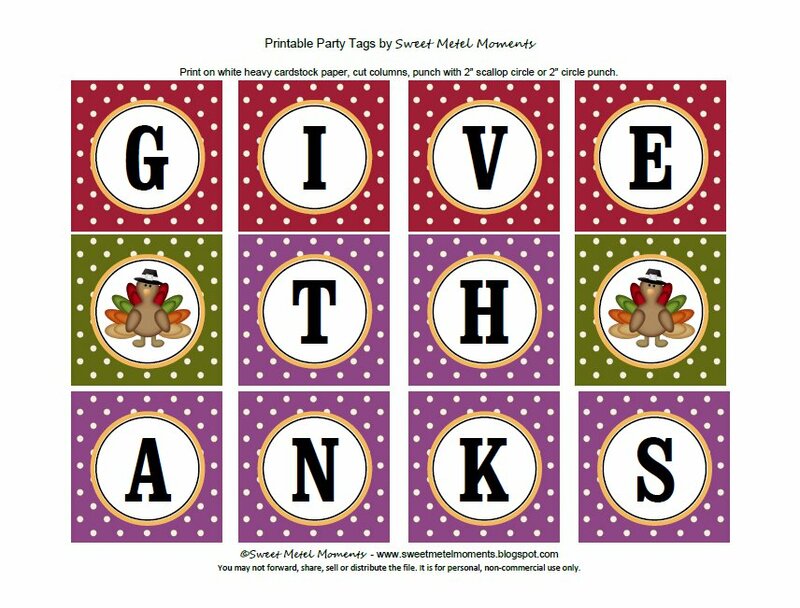 Download the high resolution printable Thanksgiving party tag from Sweet Metel Moments.